Lets get onto the steps! 6) If using a small cup of water; with tweezers gently grip image, and soak in water for about 30 seconds. 7) Place image on the back of a finger on the hand your applying the decal too. With your opposite hand, take the back of a finger and gently slide the image off the back of the sheet. 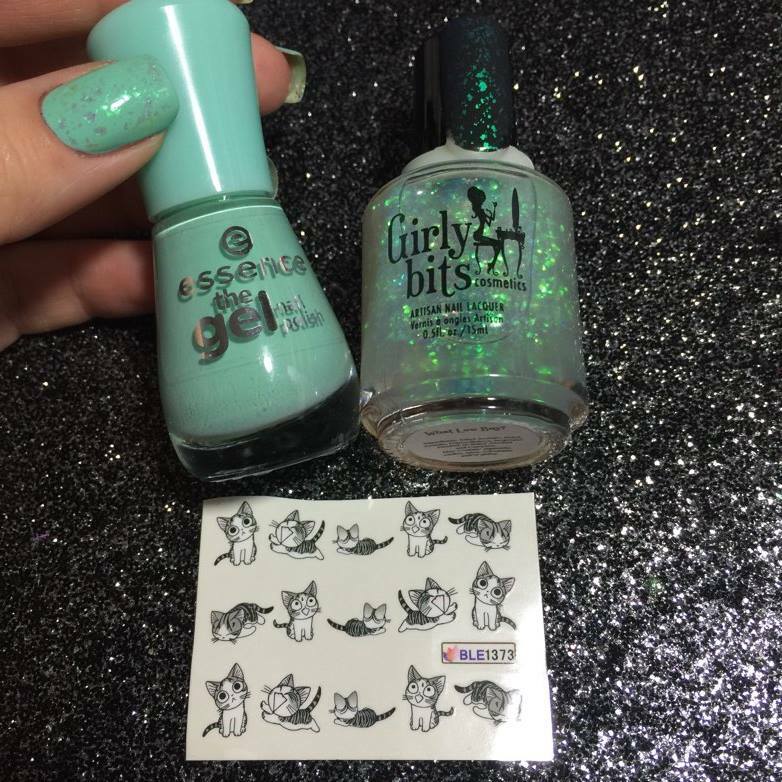 9) Seal in with your favorite fast drying topcoat, and clean any excess polish if needed and your done! Wasn't that easy? Cute, simple and complete in a few simple steps. I know it may seem like a lot of steps reading it, but I like to be as thorough as I possibly can. I really like these particular water decals, as they're super opaque over light/dark base nail colors. Some water decals are kinda sucky, and due to them being more transparent they work best over a lighter shade of polish. The other thing I appreciate with these, is that the image comes off as the exact shape of the image when sliding off. 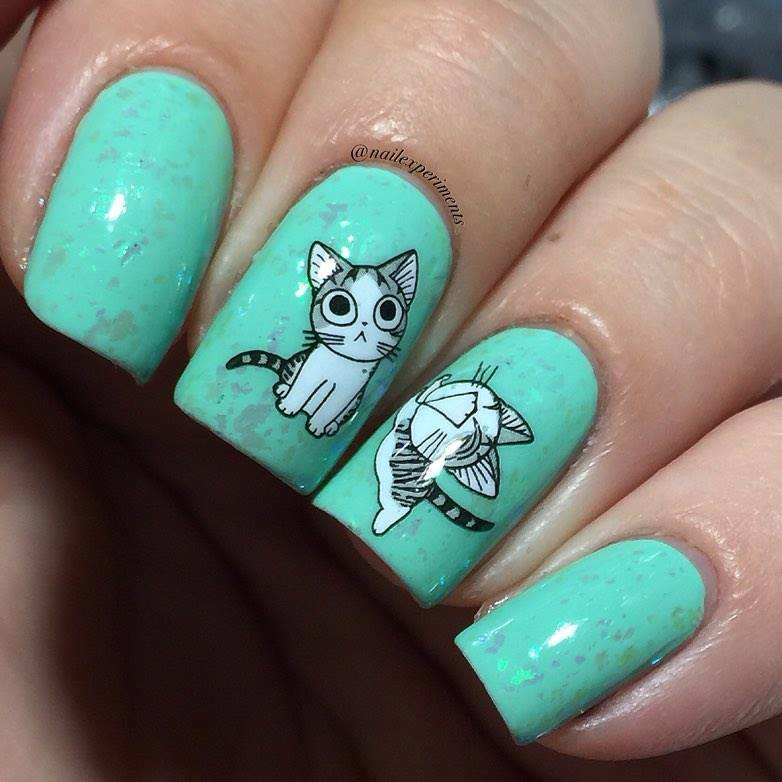 Some water decals aren't cut the same way, so you would have to super duper annoyingly careful as to cut as close to the design as possible. If not, you'll end up seeing a unflattering border. These are awesome, inexpensive and perfect to use. Hope you enjoyed this look, and feel free to experiment with water decals to your own liking. It's always fun getting creative, and the best part is making things your own. Follow me on Instagram @Nailexperiments and use hashtag #NailExperiments to be featured!